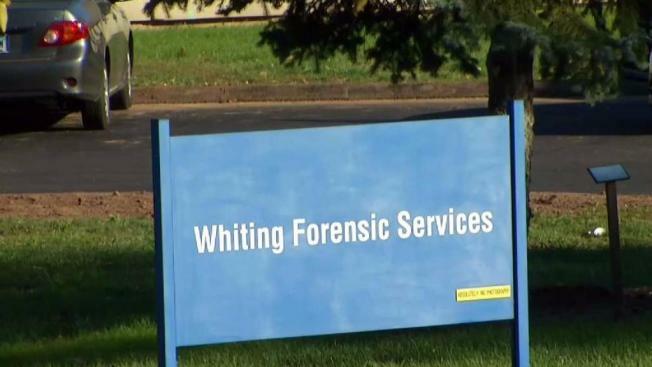 Nine employees at Whiting Forensic Division are now under arrest in connection with a patient abuse investigation at the facility. The first of at least nine staff members from the Whiting Forensic Division in Middletown who have been arrested on criminal charges connected to the investigation into alleged patient abuse at a state psychiatric hospital appeared in court Wednesday and the eight others are due in court today. The NBC Connecticut Troubleshooters broke the story about the alleged abuse in April and were first to report the arrests Tuesday. Greg Giantonio, 43, of Deep River, appeared in court Wednesday after being arrested on three felony and three misdemeanor charges, including three counts of cruelty to persons. The married father of three made $96,000 in the fiscal year 2016 and his attorney said he has been cooperative with investigators. Giantonio and eight forensic treatment specialists and nurses at Whiting are accused of repeatedly kicking and taunting a 59-year-old psychiatric patient, putting a soiled diaper on his head and more. A total of 31 employees at the Whiting Forensic Division have been put on administrative leave since the spring after allegations and videotape of the alleged abuse emerged. Kathy Flaherty's non-profit, The Connecticut Legal Rights Project, provides legal services to low-income people with mental health conditions and has seen the video that investigators used to charge the staff members. “I really don't recommend for most people's mental health that they watch it, if they don't have to subject themselves to it," she said. After the arrests of nine employees of the maximum security psychiatric hospital on the campus of Connecticut Valley Hospital in Middletown the co-chairs of the legislature's public health committee are looking into holding hearings on the matter. The co-chairs said they have tough questions for administrators at Whiting and Connecticut Valley Hospital. The agency overseeing Whiting said it finds the allegations of abuse reprehensible and said this kind of behavior by staffers will not be tolerated. The eight other staff members who have been charged are due in court today.